Our standard imprint top products are all unique and multi-functional on their own, but we know that every teacher has individual teaching methods and practices. Because we build each and every product according to particular schools’ needs, we are allowed the flexibility to customize products to meet each teachers’ requests. Our engineers communicate directly with teachers and architects to design and deliver the product that will most effectively aid the teacher with his/her curriculum. 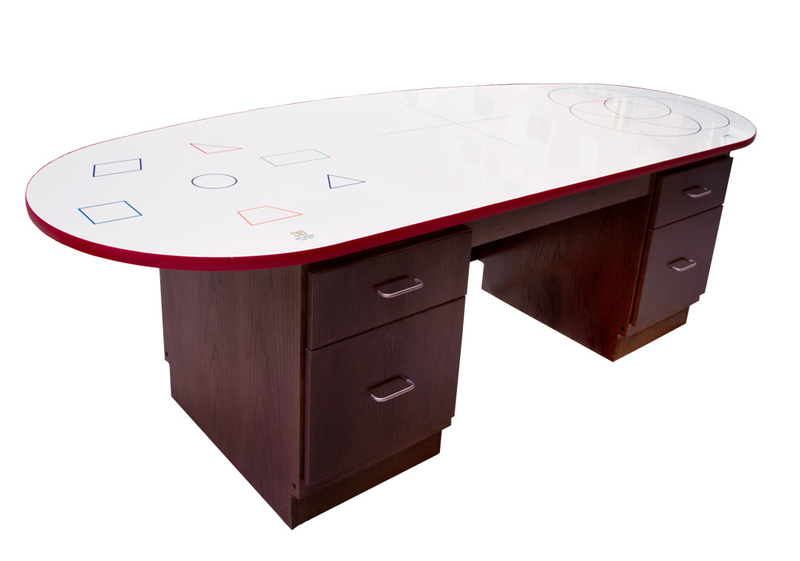 From our standard bi-level table, to the desks we’ve specially designed already, we cover the spectrum of write/erasable tops. Please contact us directly to discuss your next project.